Desktop mount for TWO single gang plates. White steel . 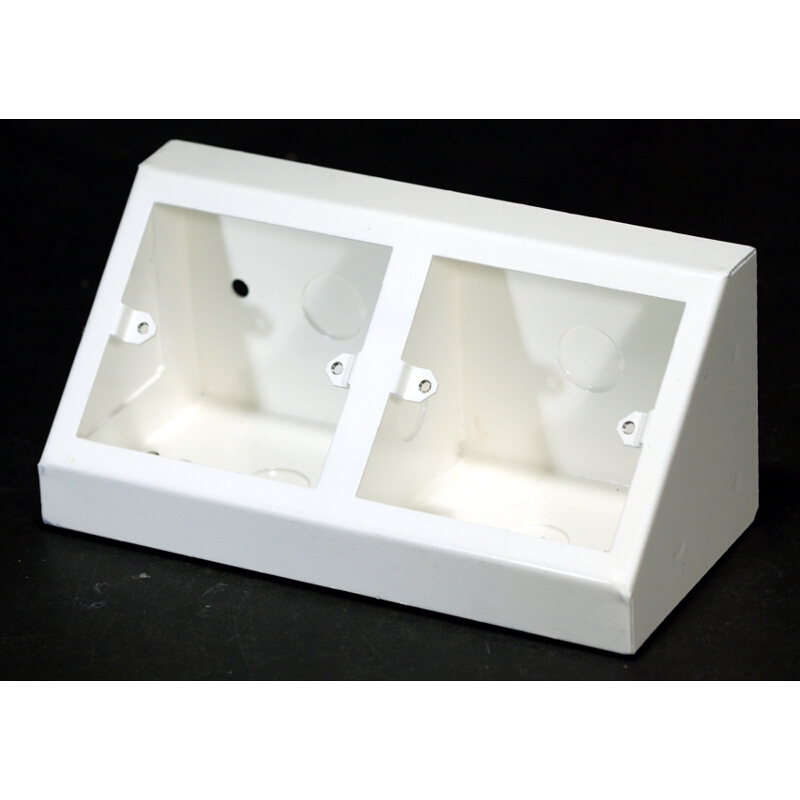 York AV | Boxes | Single Gang (86x86) | Desktop mount for TWO single gang plates. White steel . Box for TWO standard 85 x 85mm wallplates. Knockouts at rear/base for cables. Ideal for mounting AV plates USB sockets etc.